5,100 people (11.5%) in Shelby County are food insecure. Many of those affected by food insecurity are senior citizens, rural residents, veterans or kids. 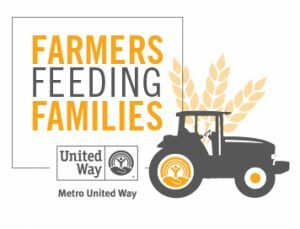 Through our new Farmers Feeding Families program, Metro United Way in Shelby County is focusing on reducing hunger and its associated health issues in our community. We can’t do this alone and are looking for farmers and landowners to partner with us. Watch State Senator Paul Hornback and Advisory Chair Pat Hargadon share more.